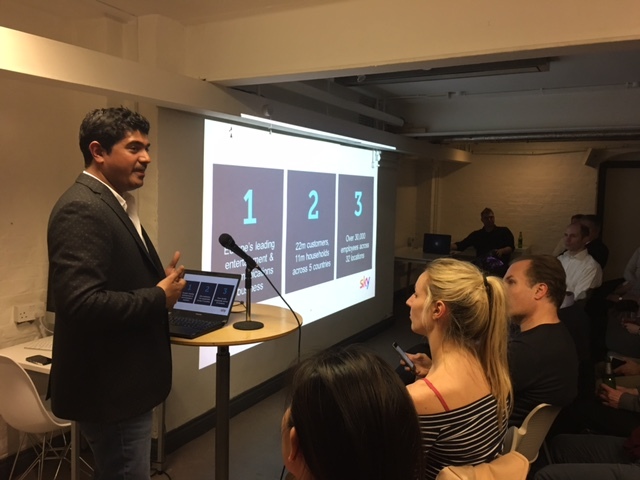 Every second month, Lynchpin host an event for the analytics community in London Our event is called Web Analytics Wednesday but the world of analytics has evolved a lot since we started holding them back in 2007. Yes, ten years ago! There have been many disrupters – from how people engage with the web, the technology that allows them to do so and the tools that help us analyse this have improved remarkably. 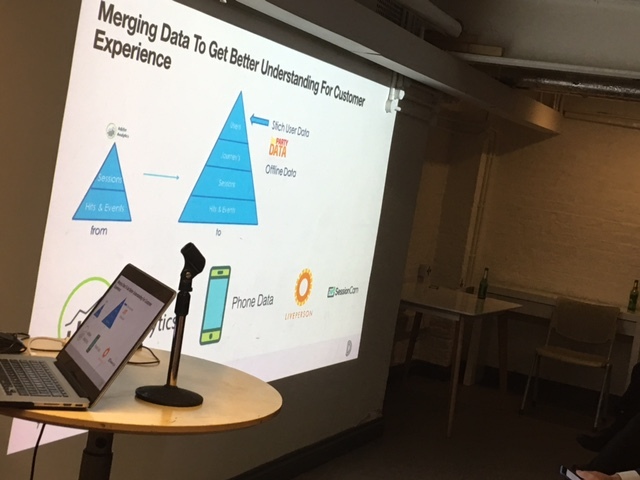 Increasingly the conversions focuses around how data is being connected from call centres, historic customer data and all the way to new connected devices. I’m sure you’ve heard that it will not be long before we all have smart homes. Therefore it would be remiss of us when curating our content for #WAWLondon to be stuck in 2007. Let’s be real here -Analytics departments have changed, grown, become several departments in some cases or analysts now sit in many departments! 2017 is the year where companies have increasingly woken up to really understand what data-driven means for them and that means using all of their data. Two speakers joined us on the 15th February, the day after Valentines day to talk about the love affair between online and offline data…. Making that relationship work can have its challenges but when it does work the rewards are big. 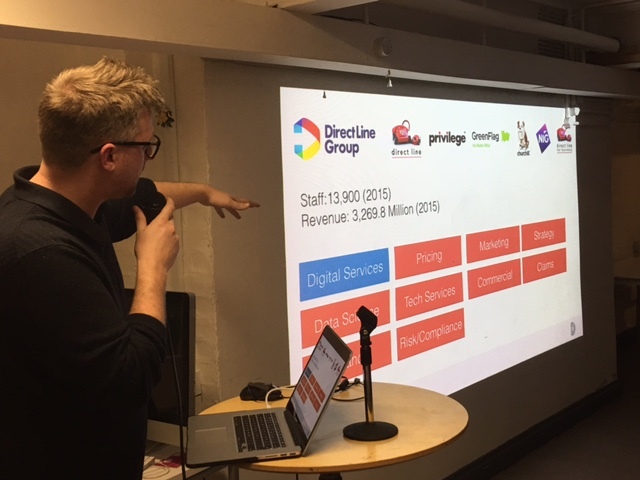 Our first speaker was Rob McLaughlin, Head of digital data at Sky and second up was James Cornwall, Head of data and Digital analytics at Direct Line Group. Here are a few key points from the night. I mentioned earlier that soon we will have connected homes but in our first presentation, we were reminded that sky have actually been in our homes for quite some time and they know quite a lot of stuff about us. They’ve been serving us personalised ads or more relevant advertising for quite a while. I have sky and I didn’t notice, which must mean that they are doing it right! According to Rob “Sky have an obscene amount of data” :22m customers from11m households across 5 countries. 71% of Sky’s customers interact with them across three or more channels. Rob McLaughlin is a man focussed on customer I.D. Being able to track the customer on the website, via the various sky apps, call centre, billing and in fact any place customers interact with Sky. And what make Rob very grumpy (although a grumpy Rob is hard to picture) is when new Sky app is launched without the ID considered up front. In an ideal situation, Rob wants to able to track the household across all touch points and also through to individuals who can login to a sky account across all devices. In doing so, Sky want to be able to give a more personalised experience to each family member rather than the household.- for example. they recognise that it might not be the bill payer who is the biggest influencer when it comes to retention. Faster isn’t always better. Frankly in analytics having data insight available immediately isn’t necessary, It’s that simple. Having good quality data from recent history is good enough to make valuable decisions for the business and implement changes. Sky already operates in several European countries that have already toughened up on Data Protection. So when asked about GDPR from an audience member, the answer was as with many companies in entertainment. While Rob acknowledged that GDPR is tricky within the Acquisition space. Sky are looking at GDPR as a two way street, if customers want a more personalised experience, they understand that this comes with particular consent considerations. Direct Line Group uses Adobe Analytics. (At Lynchpin we obviously recommend the best tool for budget and purpose). However James had an interesting opinion on tool choice. Often our clients aren’t sure whether to take the leap to a Pro version or paid tool. James thinks that when you are setting a budget against a KPI it focuses you. It makes you measure the right things first. However you could say that about time not just money with a free tool. 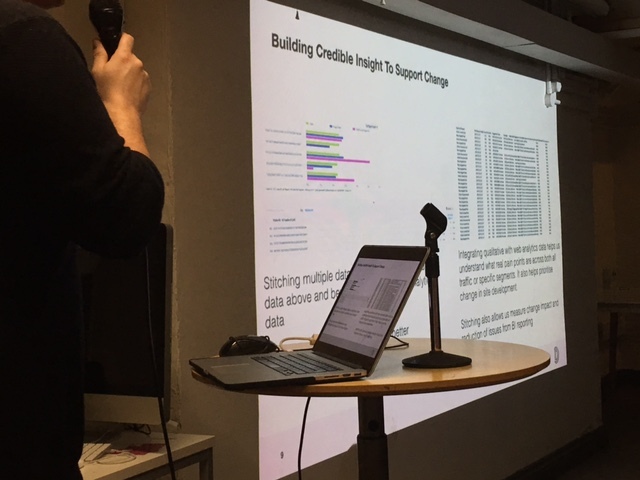 James feels that vendors can’t possibly know all of DLG Analytics desires and he can’t wait for them to figure it out so they do a lot of bespoke building. Off the shelf analytics software can’t and doesn’t hold all the answers. And we know sometimes you need to build the solution to an analytics problem yourself. DLG are investing in analytical brains more than tools, Analysts that will innovate rather than simply report and DLG has someone solely employed as an analytics innovator. Direct Line Group are using machine and there is a bit of a misconception that a great algorithm is a magic formula. This is something we tend to agree with, you still need an Analyst to pull the right levers on the machine. You still need a captain in charge of the ship to keep in on course. We’ve heard this before from Money Super Market. When we held an evening dedicated to Machine Learning. James mused about what the future holds for the insurance Industry and how the internet of things will impact their business. With IoT comes a lot of data and therefore, hopefully, useful insight. The ultimate goal for insurers is to be able to make better predictions on risk across many types of insurances. The insurance Industry as a whole recognises that they need to start looking at their analytics resources and infrastructure to cope with the signals they will be getting from IoT. For example, products like boilers may be able to send reminders for servicing, therefore holding the owners liable rather than insurers less likely to cover the losses. The lines between digital analytics, predictive analytics and data science are blurring and it’s time to embrace what the future holds. Both speakers agreed it’s an exciting time to be in analytics. The next Web Analytics Wednesday is 19th April 2017 please sign up here.